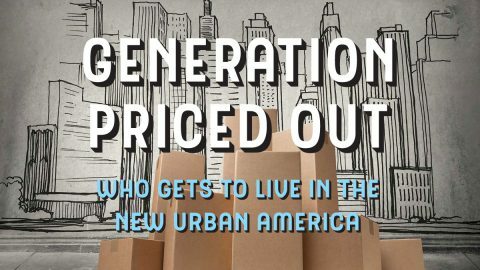 Last week, Urban Land Conservancy (ULC) staff hosted a discussion with activist and author Randy Shaw about his latest book, Generation Priced Out: Who Gets to Live in the New Urban America? As a blizzard pummeled the City of Denver, ULC staff members and Shaw discussed the history of urban affordability in major metropolises across the U.S., and present day strategies many cities are adopting to increase affordable housing. A common misconception Shaw highlighted during the discussion was that development leads to gentrification. The Haight-Ashbury neighborhood in San Francisco, for example, has seen its affordability evaporate and the bohemian community for which the neighborhood is famous leave. The colorful Victorian style homes dotting the area prove new urban development had nothing to do with the decline of affordability. So, what often bars affordable development? 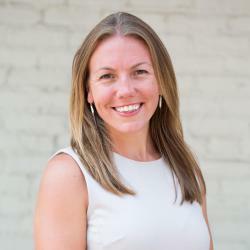 Shaw sees homeowners associations as a major deciding factor in neighborhood development. A homeowner association (HOA) is a private coalition of homeowners, formed for the purpose of managing, selling and marketing homes and land in a residential zone. HOA’s are often vocal and organized in resisting zoning changes that would promote affordability, such as increasing density and supporting apartment development. To combat the influence of local property owners, some States are proposing regional and statewide policy measures. California recently introduced Senate Bill 50 (a statewide bill), which if passed will prevent cities and towns from banning apartment construction in designated areas, like transit corridors or high employment zones. The bill will not be a catch all solution to the affordability crisis in California, but it will fight the exclusionary zoning codes used in predominately affluent neighborhoods. According to Shaw, in all of the cities he studied for Generation Priced Out, no organization was paying as much attention to land as ULC. Acquiring real estate before land speculation and the market drives up prices is a critical part of ensuring the development of affordable housing in rapidly gentrifying neighborhoods. In many of the cities Shaw explored – this affordability has been lost for good. As is the case in Manhattan, once the affordability is gone, cities become economically polarized – virtually eradicating the middle class. You can purchase Generation Priced Out online at Colorado’s Tattered Cover bookstore here. ULC would like to extend our warmest gratitude to Randy Shaw for spending the morning with us, and we look forward to your next release! We are always incredibly grateful for the many advocates out there fighting for solutions to address the growing affordable housing epidemic across the nation.